On April 1, 2017, I spoke at the annual Surratt Society Conference. The topic of my speech revolved around the hidden histories of some of the minor characters in the Lincoln assassination story. One of the subjects of that talk was James P. Ferguson, assassination witness and proprietor of the Greenback Saloon next to Ford’s Theatre. The following text comes from my speech and is presented in lieu of a Grave Thursday post. In the assassination story, James P. Ferguson is known as being the man who owned the Greenback Saloon on the north side of Ford’s Theatre. Ferguson was well acquainted with the actor turned assassin, John Wilkes Booth. On the day of Lincoln’s assassination, in the late afternoon hours, Booth had showed off his escape horse to Ferguson and some of the Ford’s Theatre employees. That night, Ferguson secured two tickets to “Our American Cousin”. He had been told that General Grant was going to be the guest of the Lincoln’s that night and Ferguson wanted to see the great general. Ferguson secured seats on the balcony level opposite the President’s box in order to get a good view of its occupants. When the President arrived with different guests, Ferguson was disappointed but kept his eyes on the box hoping that Grant might join the party later. Ferguson was perhaps the only person looking at the President’s box when John Wilkes Booth entered and fired. He was one of the first witnesses to be interviewed and his descriptions of the events of that night are one of the best. James Patton Ferguson was born on August 20, 1828 in Highland County, Ohio. As a young man he had a roving restless nature. He found employment as a boatman on a river steamboat that ran between Cincinnati and New Orleans, he was elected as a policeman in Cincinnati until he was fired for being found asleep in a barrel while on duty, then he moved to New Orleans where he worked as a bartender. While he would continue to work as a bartender and restaurant keeper for the rest of his life, in the mid 1850’s Ferguson left his job in New Orleans and joined up as a soldier of fortune. Ferguson traveled down to Nicaragua to fight under the command of a man named William Walker. 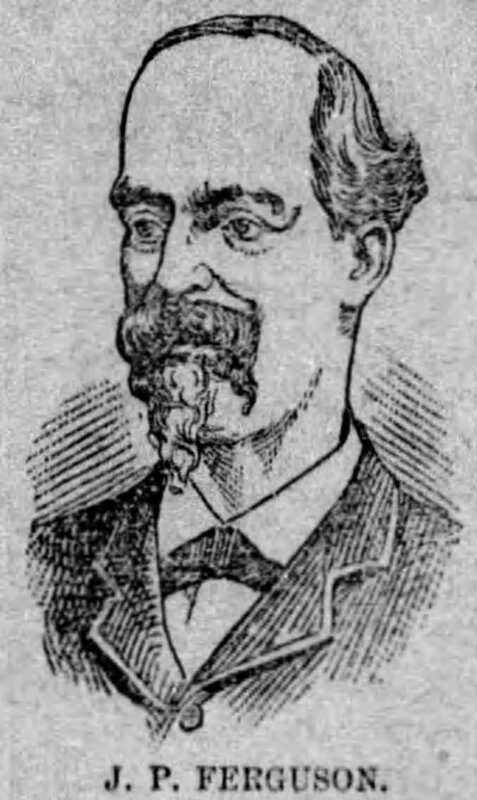 William Walker was a Tennessean physician and lawyer turned mercenary. He was a firm believer in both the practice of slavery and in belief of Manifest destiny. Walker sought to annex land in Mexico and Central America in order to create new American colonies that practiced slavery. These colonies would be ruled by Walker as republics in the hope they would later be accepted into the United States as additional slave states. 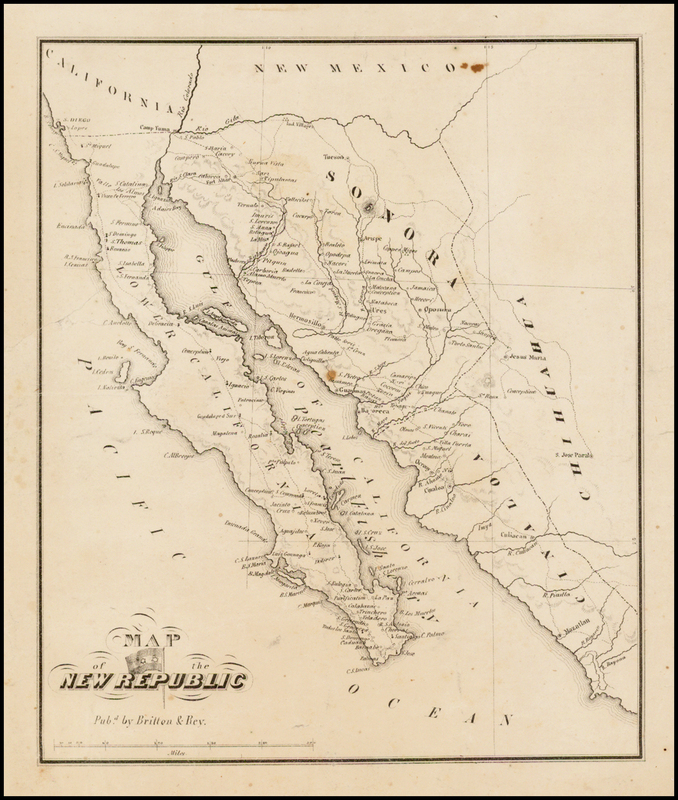 In 1853, Walker successfully invaded the sparsely inhabited Mexican state of Baja and declared it the Republic of Lower California. Walker planned to invade and annex the nearby Mexican state of Sonora but, in 1854, with his supplies running low, he retreated back to the U.S. Though he was put on trial for violating the Neutrality Act of 1794 which made it illegal for an American to wage a war against any country at peace with the United States, Walker was acquitted by a jury after only 8 minutes of deliberation. While Walker had been fighting in Mexico in 1854, a civil war had broken out in Nicaragua. The two groups fighting for control of the country were the Legitimist Party and the Democratic Party. After hearing about Walker’s incursion into Mexico, the leader of the Democratic party, Francisco Castellon, sought Walker’s help to defeat the Legitimists. Back then, Nicaragua, like Panama, was a crucial point for transcontinental trade. Walker saw the benefit of controlling Nicaragua and traveled down to “help” Castellon and the Democrats. On June 29, 1855, Walker with a group of about 45 mercenaries and 100 natives, seized the city of Rivas, Nicaragua. By October of 1855, Walker and his men had completely defeated the Legitimist army and had seized their capital of Granada. The civil war in Nicaragua had been won for the Democratic Party. News of Walker’s success traveled far and wide and apparently made an impression on the 27 year-old James P Ferguson. Ferguson left New Orleans and traveled down to Nicaragua to join Walker and his men. As commander of the whole army, William Walker essentially ruled Nicaragua through a provisional president. Walker’s regime was even recognized as the legitimate government of Nicaragua by U.S. President Franklin Pierce. Though it is unknown when exactly James P. Ferguson joined the ranks of Walker’s army, we know it was at least by April of 1856. You see after the Nicaraguan Civil war ended with Walker’s army victorious, the neighboring countries of Costa Rica and Honduras had growing concerns over their border. Walker’s well known desire to annex and expand his territory was a problem. In March of 1856, Costa Rica declared war not on Nicaragua but on Walker’s army of mercenary invaders. On April 11, 1856, the army of Costa Rica made attacked on Walker’s army in Rivas, the same city that Walker had seized when he first arrived in Nicaragua the year earlier. James P. Ferguson was in that battle which was later known as the Second Battle of Rivas. The Costa Rican army of almost 9,000 volunteers were too much for Walker and he was forced to retreat to his stronghold of Granada. At the end of the battle casualties were high on both sides. Though the circumstances are unknown, Ferguson is listed as one of those wounded during the battle. He was lucky he was not killed, for, as they were retreating from Rivas, Walker ordered the bodies of the dead to be thrown into the city’s wells in order to poison the town’s water supply. This dastardly deed was very effective and resulted in a cholera epidemic after the battle had ended. The Costa Rican army unwittingly brought tainted water back with them when they returned home which resulted in a cholera epidemic that killed 10% of the country’s population. 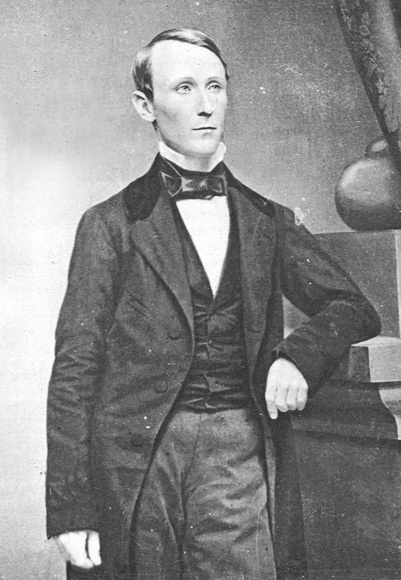 The wounded James P. Ferguson left Nicaragua shortly after the Second Battle of Rivas and returned to the United States. Though he recovered, for the rest of his life, James P. Ferguson would walk with a limp. After his return to the U.S., Ferguson went back to his chosen profession as a bartender. When the Civil War broke out, Ferguson, like many others, made his was to Washington, D.C. which had increased in size due to the war. In April of 1861, 33 year-old Ferguson married a woman named Martha who was about the same age as him. The pair settled down in D.C. where Ferguson came to run the Greenback Saloon. Among the countless others who made Washington their home was a young couple named Sabret and Ann Cecil. The Cecils had three children. In 1862, Sabret died unexpectedly leaving Ann to raise their children Martha, Mary and John all by herself. To make ends meet Ann worked as a dressmaker. Somehow, the Fergusons came to know Ann and her children. Perhaps seeing the difficult situation Ann was in as a single mother and perhaps because James and Martha never had any children of their own, the Fergusons apparently offered to help Ann by caring for her middle daughter, Mary Ella, at the time. The Fergusons provided Ella with lodging and care and she became essentially one of the family. James Ferguson was very fond of 12 year-old and doted upon her greatly. Martha Ferguson’s health was not always the greatest and that is the reason why, on the night of Lincoln’s assassination, it was Mary Ella Cecil who was James P. Ferguson’s guest at Ford’s Theatre instead. Ferguson’s detailed account of the crime made him a hot commodity with his story being carried in many of the newspapers of the day, while Ella doesn’t seem to have been interviewed at all. A few months after the assassination, Martha Ferguson’s health worsened and so James suggested that his wife leave D.C. James arranged for Martha to stay with some friends of his in his home state of Ohio. With Martha gone, Ella went back to live with her mother Ann. While James was very dutiful in writing letters to his wife in the period shortly after her departure, over time his letters to her became less and less until they inexplicably stopped coming altogether. By late 1866, Martha heard some terrible news from some of her other acquaintances, her husband had apparently taken a mistress and was parading her around as his wife. Angry, Martha left Ohio and travelled back to D.C. to confront her cheating spouse. When she arrived in D.C. she found that James had left the city, apparently having learned of her return. She traced him up to Baltimore before learning he departed that city and gone back to D.C. just before she had arrived. Returning to D.C., Martha learned the identity of the woman who was her husband’s mistress. Filled with fury and anger, Martha knocked on a door that was located near 6th St and H St, right around the corner from Mary Surratt’s boarding house. When the door opened Martha Ferguson upbraided the girl who had ruined her life, Mary Ella Cecil. Yes, it appears that at some point over the years, James P. Ferguson’s interest in Ella changed from guardian to suitor. It’s possible that Ferguson was interested in Ella romantically as far back as the assassination when Ella was only 14 years old. It seems increasingly likely that James Ferguson sent his wife away to Ohio in order to remove any barriers against his relationship with Ella. 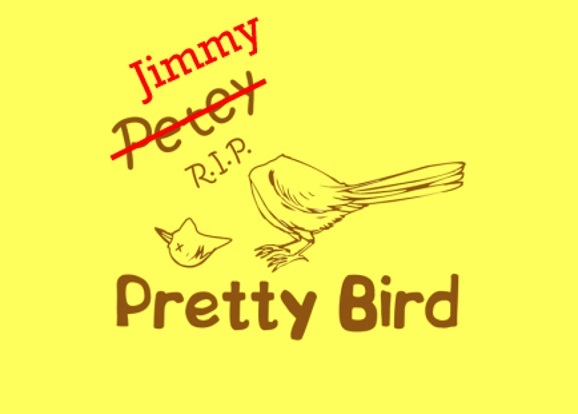 James Ferguson was not present in the home that Ella shared with her mother, but unfortunately “Jimmy the canary was. You see, as a token of his affection, James had presented Ella with a lovely canary whom Ella named Jimmy after its donor. Martha, seeing the bird and hearing its name, was so enraged that, to quote to newspaper, “she took the bird and wrung its head off”. Screaming ensued between Ella and Martha and Ella seized Martha in order to kick her out of the house. At this, Martha pulled out a revolver and aimed it at Ella’s chest. Martha pulled the trigger three times, but the gun did not fire. Someone intervened and prevented the two from fighting further while a police officer was sent for. Martha Ferguson was arrested and charged with assault and battery with intent to kill with her bail set at $1,000. Despite a hearty search, I was unable to find any additional details about Martha’s arrest or even if she stood trial for what she had done. It is unlikely Martha went to jail for committing avicide against Jimmy the canary and though she intended to serious harm Ella, the fact that the gun did not fire also probably saved her. Regardless, Martha falls completely off the radar after her arrest, even to the point that James did not know where to find her. In spring of 1867, James sought to divorce Martha but the issued subpoena is returned as Martha was, “not to be found”. 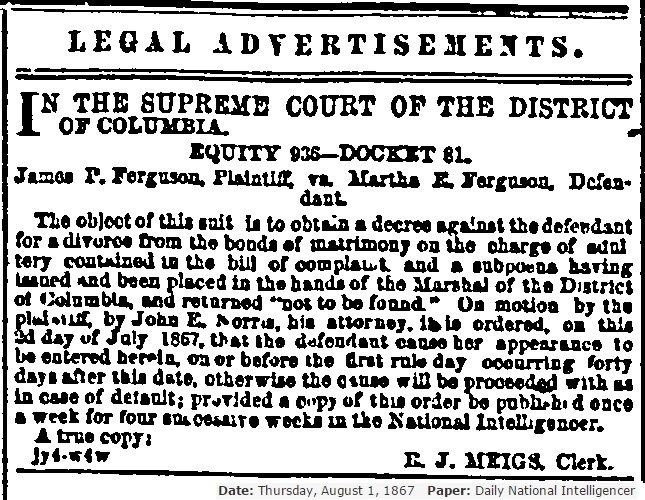 In July of 1867, James took a legal notice in the National Intelligencer stating that if she does not appear within 40 days he will go through the divorce proceedings in her absence. There is no evidence that Martha ever comes forward and in December of 1867, the divorce is put on the docket in the D.C. courts. On February, 11, 1868, James P. Ferguson is granted a divorce against Martha. In what is likely a final insult to Mrs. Ferguson, James alleges that his reason for divorce is because Martha committed adultery in October and November of 1866 and was also addicted to drinking. Fifteen days after his divorce from Martha, 39 year old James P. Ferguson married 17 year-old Mary Ella Cecil in DC. After losing his bar and restaurant the couple would move to Cincinnati and have three children together. James P. Ferguson died in 1897 while Ella lived almost 40 more years dying in 1936. They are buried together in Spring Grove Cemetery in Cincinnati. That’s some of the hidden history of James P. Ferguson, saloon keeper, key assassination witness, Nicaraguan mercenary, and creepy adopted father/husband. Your Surratt presentation was great, Dave. We all learned lots about Ferguson. Thank you, Kathy. James P. Ferguson was not a likable guy, but he sure was interesting. Someday soon, I’ll be putting up the other half of my speech about that other “interesting” character. gave to the authorities on his witnessing the assassination..
could find that article and read it please? Totally agree. Why allude to how unique and important it was, then leave it out? I have responded to Mrs. Quesenberry with the sources you can consult to read Mr. Ferguson’s accounts. The large amount of material from Ferguson caused me to refrain from delving too much into it, especially since the bulk of it just recalls the act of the assassination itself which is well known now. In particular Ferguson’s testimony is located in Volume I on pages 189 – 194, and in Volume II on pages 537 and 538. In addition to his official trial testimony, Ferguson also gave several pre-trial statements during the investigation. For those I suggest you consult the edited volume, The Lincoln Assassination: The Evidence by William Edwards and Edward Steers. Enjoyed your talk at the Surratt Conference very much! Kudos to Kate for her outstanding performance. Any chance Kate’s talk at Fort McNair could be recorded along with a quick video tour of the room for those of us who regret that we can’t attend? When Kate attends the open houses at Fort McNair she does not give a set speech. Rather, she places herself in Mary Surratt’s chair and interacts with the guests in the both first and third person, answering their questions. Kate will be at Fort McNair again on Saturday August 5, 2017. Very, very interesting…the end was like reading Mia Farrow’s revelations about Woody Allen and Soon-Yi…life is a repeat, isn’t it? I love this! We are related according to Ancenstry.com. I have a photo of a news article but could not read it- this is terrific. Thank you! Candice Ferguson. I have read many times that Ferguson sat not in the balcony where he had a good view of Booth before he entered the box, but rather in the orchestra level and — as depicted in a woodcut right after the assassination — he was the first to climb to the stage and chase after Booth. I believe he is also the man depicted in a woodcut chasing Booth behind the theatre after he had mounted his horse. (Another Ferguson — William, the young actor — stated in later years that a few men (not just one) climbed onto the stage to pursue the assassin. How do you explain the discrepancy about where Ferguson was at the time of the assassination? Also, it is interesting to note that in his testimony (at least in the Pitman version) he did not mention seeing Booth give his card to anyone before passing into the vestibule of the President’s box.